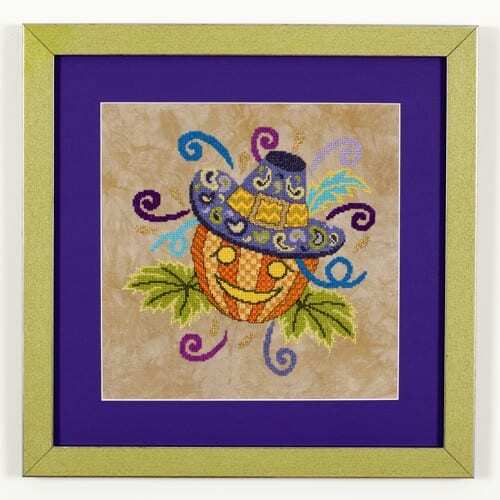 Jazzy Jack is bursting with color with a Mardi Gras flair. Model stitched with Rainbow Gallery Petite Silk Lame’ Braid, which is a blend of silk and a metallic blending filament, super-charging the design with lots of sparkle and pizzazz! If you love Jazzy Jack, then you will also want to pick up his lovely companion, Glitzy Gourdelia. They make quite a festive pair! Design Area: 9-7/8″w X 9-5/8″h.